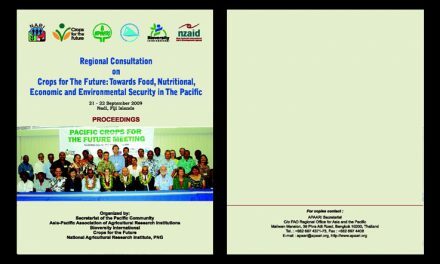 Information and Communication Technologies (ICTs) offer immense opportunities for the National Agricultural Research Systems (NARS) in the Asia-Pacific region to achieve their mandate as apex organizations addressing the challenges of national food security, climate change, poverty alleviation, rural development and environmental sustainability. The potential of ICTs is significant in making Agricultural Research for Development (AR4D) more inclusive through highly targeted and location specific information services. Advances like cloud computing, availability of new generation mobile technology in many developing countries and Geographic Information Systems (GIS), ease of web 2.0 technologies and social networking at all levels have increased opportunities for new ways to share and exchange both information and knowledge with wide range of stakeholders. It also led to improve the agricultural advisory services and encourage innovative partnerships in Information Communication Management for Agricultural Research for Development (ICM4ARD) for greater impact and better income generation by the farmers. There are notable ICT attempts in agriculture and rural development which not only provide lessons on connectivity and device development but also offer more insights into Information and Communication Management (ICM) issues related to digital content development, socio- economic impact, institutional and process interventions to manage all these continuous changes. This specialized body of knowledge, cutting across disciplines, opens up great learning opportunities for all stakeholders in AR4D and it forms a key component to improve their capacities for leveraging ICT/ICM for AR4D. 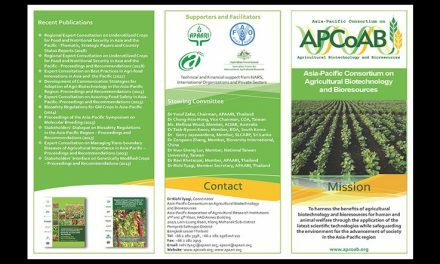 Asia-Pacific Association of Agricultural Research Institutions (APAARI), as a neutral platform, has been promoting the use and application of ICT/ICM in AR4D in the region through its program called “Asia-Pacific Agricultural Research Information System (APARIS)”. Advocacy and capacity development in new ICT/ICM is necessary to enable all stakeholders to adopt new advances in technologies and knowledge management systems to create content in the digital realm and to make it truly available, accessible, applicable and appropriable in a sustainable manner. In order to accelerate its application in the Asia-Pacific region and to integrate regional and national efforts with global initiatives, capacity development of NARS is critical to improve information and communication management for generation, storage, processing and usage o content in most economic and effective manner and with equity of access and use by the stakeholders, especially the end users. Considering above, APAARI, the Global Forum on Agricultural Research (GFAR), the Food and Agriculture Organisation (FAO) and the Asian Institute of Technology (AIT) jointly organised a thee-day workshop on ICT/ICM for Information Managers from 14-16 September, 2010 at AIT, Bangkok. The objectives of the workshop included orientation of participants to the potential opportunities of new ICT/ICM for AR4D; Coherence in Information for Agricultural Research for Development (CIARD) initiative and equip them to contribute effectively towards CIARD Roadmap to Information Nodes and Gateways (CIARD RING); and identification of mechanisms to strengthen APARIS for efficient exchange of data, knowledge and technologies in the region. Twenty one Senior Information and Communication Managers of the NARS from 17 countries attended the workshop. More than 12 resource persons representing APAARI, FAO Headquarters, FAO RAP, Bangkok, GFAR, ACIAR, AIT and Kasetsart University provided valuable inputs in the workshop. The members of the APARIS Steering Committee also actively participated. The workshop provided an opportunity to Information and Communication Managers of various NARS to present the country status reports. An important outcome of the workshop had been the endorsement of APAARI Communication Strategy which was thoroughly discussed and endorsed by the Information and Communication Managers of NAIS in principle for its implementation. Demonstration of APAARI website and information platforms for sharing information, demonstration of CIARD RING platform and its functions, application of AGRIS DSpace and a Technical Workshop on AgriDrupal on 16-17 September, 2010 with hands-on training helped participants to orient themselves to latest concepts and ICT tools for better sharing of gricultural information and knowledge resources. 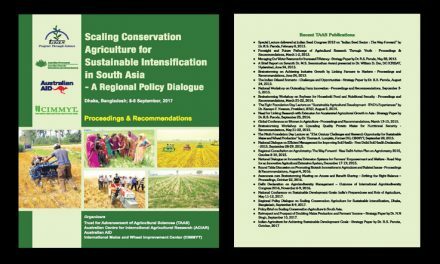 These proceedings do synthesize country reports, presentations by resource persons, discussions and workshop recommendations. 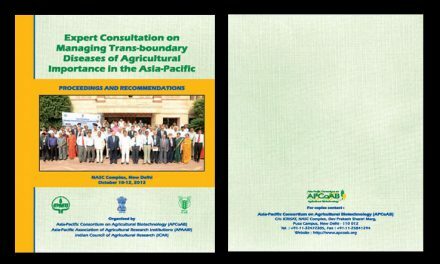 It is our xception that these proceedings would be useful to all APAARI stakeholders engaged in agricultural research for development.